Any new ideas to tweak turntable? Something you may look forward to when you visit my site. Today we have some tips from Euan Roberton of New Zealand. Try it out yourself! Having recently fitted your bearing sheath, thrust bearing, and M3 long screws with butterfly nuts to my RP1, I am once again on the upgrade path. 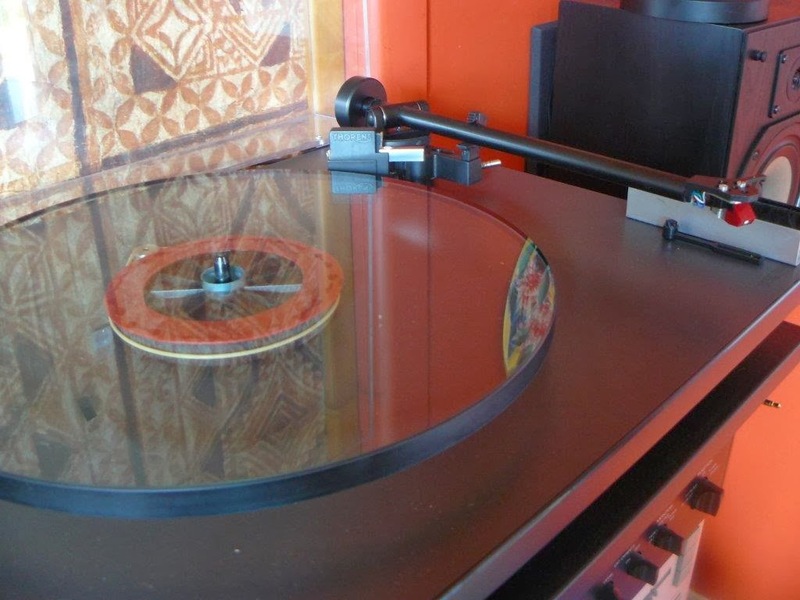 This time I am investing in an Ortofon 2M Blue cartridge and would like to buy the serrated 3-point VTA spacer which matches the cartridge and my 12mm glass platter. I have not sent you any pictures of my system set-up or tweaks as so far, anything I have done has been very well covered by your site already. 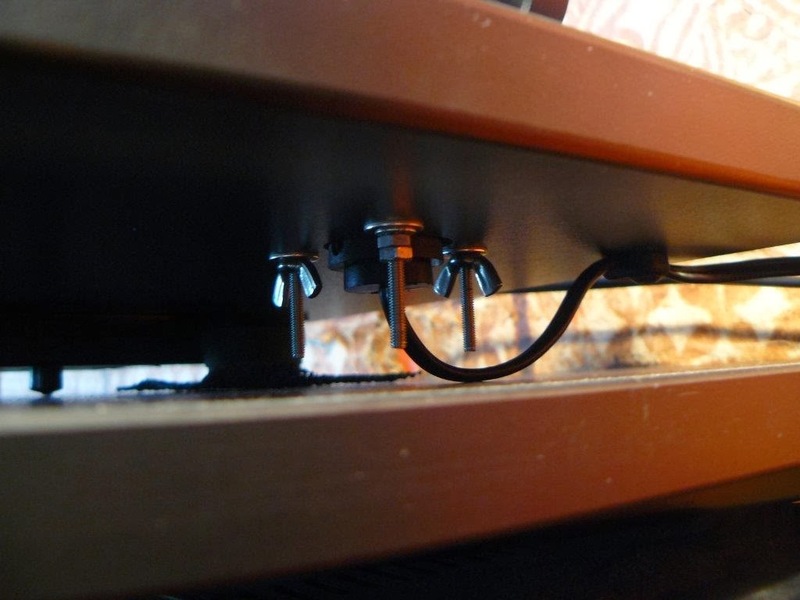 I have attached some photos this time however to show you the .5mm silicone spacer between the sub platter and glass platter (photo 898), and the rubber spacers between the plinth and tone arm mounts. I believe the silicone ring has ensured a more positive connection between the sub and main platters and has made some contribution to pitch stability. 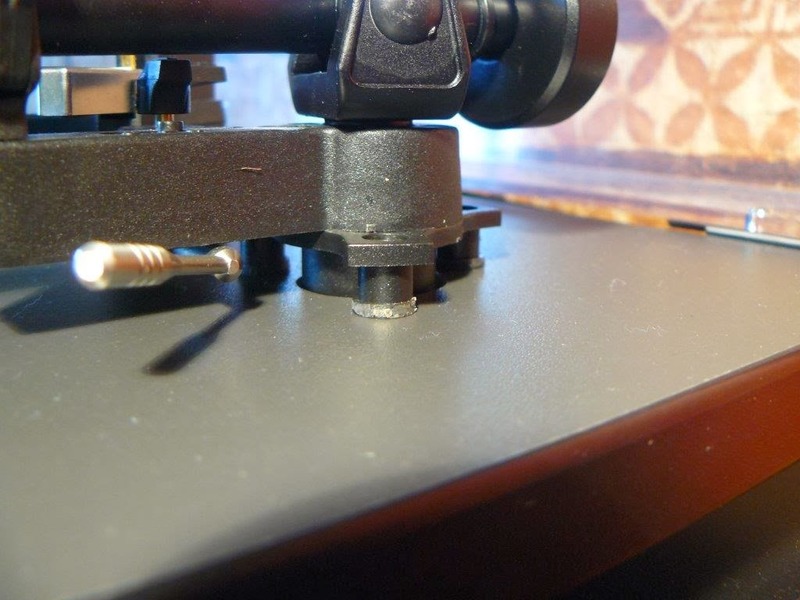 The rubber spacers (photo 899) have definitely improved the isolation of the tone arm from the plinth - I used to be able to hear the acrylic cover touch the plinth if I lowered it after the stylus was in the groove, and lightly tapping the plinth would produce feedback as well. This has now stopped.